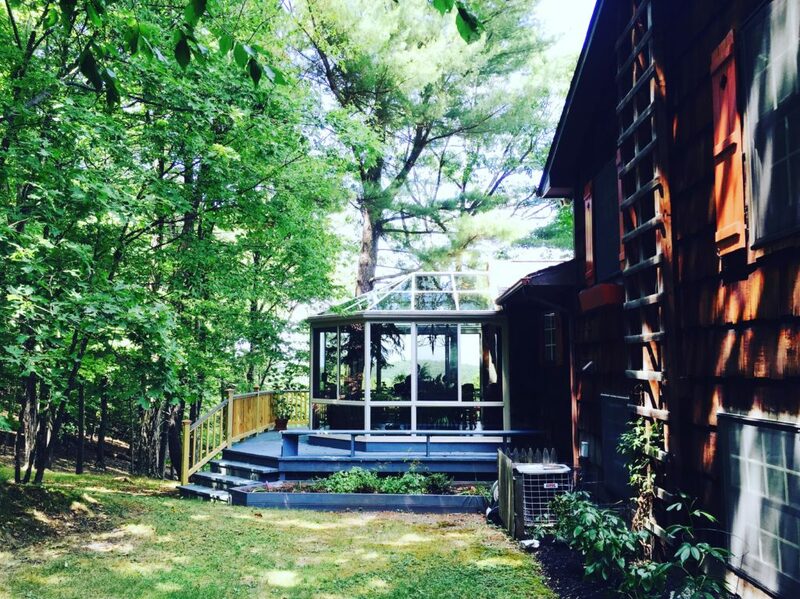 Situated on over twenty-five acres in Rhinebeck, NY, The Crystal Cottage offers the perfect place to contemplate, converse, and experiment. 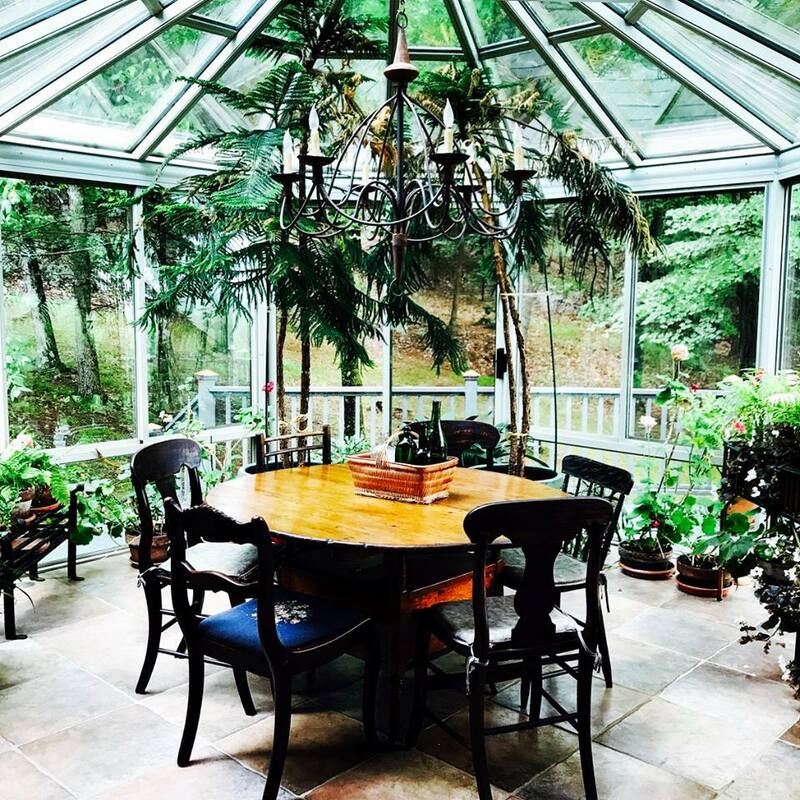 With a wraparound deck that looks toward the Catskill Mountains (and sunsets), the space encourages residents to set down the pen, look up, and walk along the disappearing paths (or sit beside the private pond and be like Walden). There are two single bedrooms and one double. Each bedroom is peaceful, full of light and newly furnished: the master and study have queen beds and the corner bedroom includes two twin beds and a roll-top desk. While the residents occupy the three rooms on the third floor, The Seventh Wave editors stay in the basement, just like childhood. Each day begins around 7 a.m. on the main floor, where fresh pots of coffee and a flood of natural light await. The Crystal Cottage has a rich history of harmony. For many decades, The Chou’s made their part-time home here. Wen-chung Chou (born in Chefoo, China, in 1923, arrived in the U.S. in 1946 on an architectural scholarship to Yale; went on to study music, become the protégé of Edgard Varèse, and lead the music program at Columbia University) and Yi-an Chang Chou (born in Shanghai in 1927, travelled throughout Eastern Europe with her diplomat parents before settling in Los Angeles in 1941 and launching her concert piano career) loved the land and this house. Wen-chung composed much of his music here and Yi-an grew her second career as a floral designer here – all of her plants in the conservatory continue to flourish, which is where the house gets its name: The Crystal Cottage. Yi-an passed away in May 2016, and Wen-chung currently resides in New York City. We continue to honor what they have created and share it with you.